The pattern is Wild Thing by Thimble Blossoms, and the fabric I used is Verna by Kate Spain for Moda. 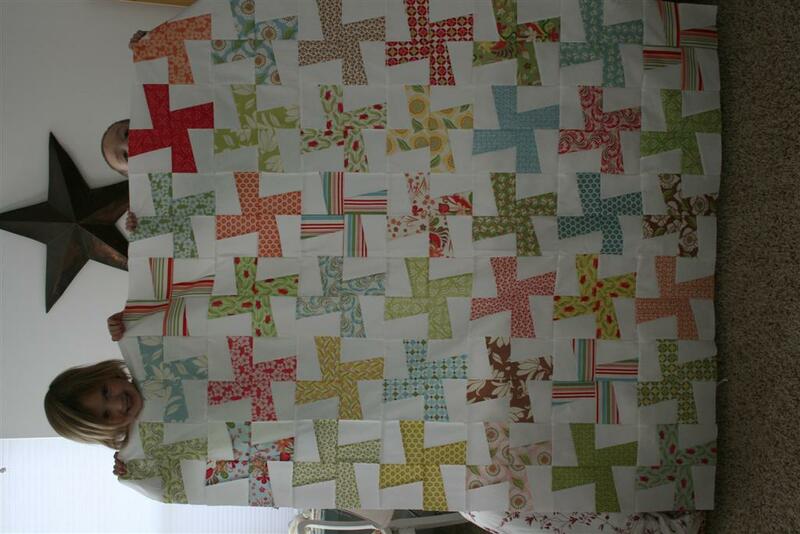 It’s still in need of borders, but I can’t remember the last time a quilt top made me smile like this one does. Let me just say that I LOVE this pattern. And let me also say that the Verna line is GORGEOUS. It just might be my new favorite. Here’s a peek at some of the fabulous prints in this collection. I love the tulip pattern, and the stripes (above) are just plain happy. That pink swirly print (below) is called Breezy Budding and yes, it’s as wonderful as it looks. The two-tone green print below the pink comes in several different colors and I really like it. In spite of my better judgment, my heart keeps saying to me “I need some.” Seriously, I’d love to have a fat quarter of every piece in the collection, but this quilt will have to do. My goal is to USE my fabric this year and not just accumulate it. 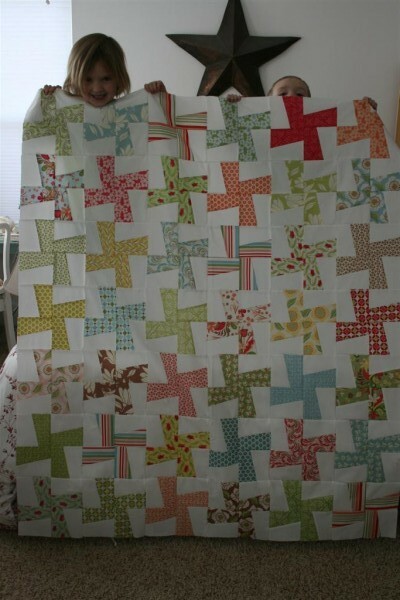 This afternoon I’m headed to choose borders for this quilt. I can hardly wait! oh this is amazing. I need to get that pattern. And that fabric. wow. Gorgeous quilt! I was thinking about buying this pattern. Looks like you made the larger version, not the “pint-sized” version. Did the version you make call for charm packs? If so, how many charms did it call for? I bought two of the Verna charm packs and am looking for a suitable pattern for them, but I’m wondering if the prints in this collection are a little too large scale for the “Wild Thing pint-sized” version? Also, where do you buy the Kona white fabric? Thanks! 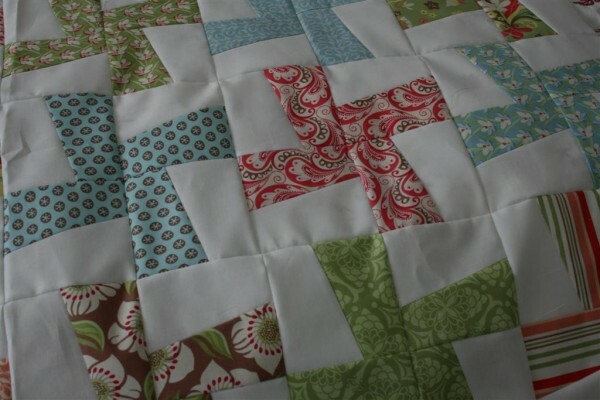 Rachel, the version I made is the original larger sized quilt. I would really like to try the pint sized one too. I used two sets of charm packs, and the pattern used every one of them. I am really pleased with how the Verna line looks in this quilt. It’s one of my favorite quilt tops to date. Something about it just makes me happy! 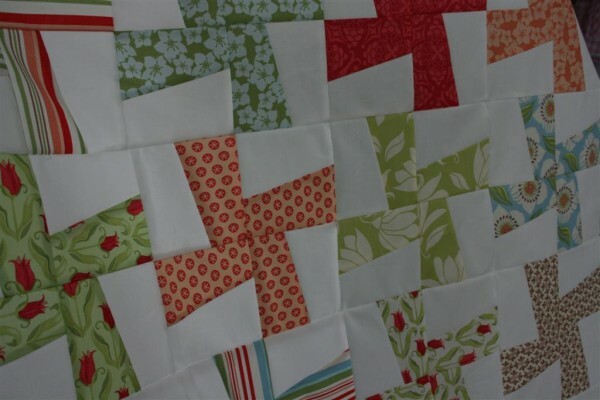 Honestly, I think that it would probably look great in the pint sized quilt since the Verna line also has a lot of smaller and medium scale prints. The Kona white I purchased most recently came from fabric.com, but I usually do a quick google search every time and compare prices in case there’s a sale. Also, you can watch the trueup.net site for their Sunday sale posts which list fabric sales both in the US and internationally. Sometimes you’ll see the Kona fabrics on sale there. 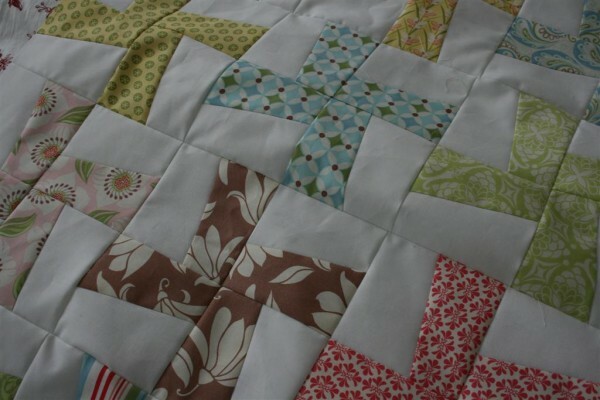 Good luck with your quilt! How many yards of each color did you use? This is so pretty! I just went to Thimble Blossom site and bought this one and three more patterns! I am still learning so we’ll see how it goes! Thanks for sharing your work. ….I am trying to find some of these colors, and I saw you used the Charm packs but I cannot find them in these colors anywhere! So I am spending my day shopping for fabric online. I hope I find it, the colors are just beautiful!